The Wits Debating team has won the SADC championship title for the fourth time. Photo: Wits Communications. 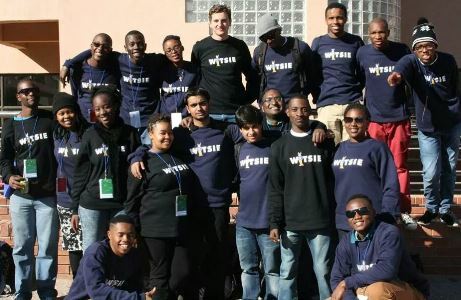 The Wits Debating Union (WDU) has reasserted their prowess over university teams from the Southern African Development Community (SADC) by being crowned the champions of the 2014 Southern African Universities Debate Championships. The championships, known as “nationals”, were hosted by the University of Botswana from 5 to 13 July 2014 and drew more than 400 debaters from 30 universities from the SADC countries. It was sweet glory for the WDU who not only claimed the championship title but walked away with several awards. Wits debaters were awarded the seven of the top 10 speaker awards; and Wits as an institution was recognised as the best adjudication/judging institution. Furthermore, a Wits speaker won the public speaking championship category. WDU Chairperson Noluthando Yeni, who led the team and kept them motivated, added that the 2014 championships will go down in history as the breakthrough year for female debaters and black debaters. “For the first time this year, females rose to the finals of the championships, one of which is a Witsie. This achievement was considered one of the most transformational moments in debating history and we are so proud of Wits talent that contributed to this,” Yeni. Whilst Wits debaters have previously won the English First Language (EFL) title with a few black debaters taking part in this category, there has never been a black champion in the first language and this changed this year. “Wits for the first time had black debaters in the EFL league who progressed to the final and ultimately won the title,” said Yeni. “We trained hard this year to break the glass ceiling and we did,” said Yeni with an air of triumph. The months of hard work paid off as the WDU knocked out their arch rival in debating, the University of Cape Town (UCT). Having conquered the ‘nationals’, Yeni said the WDU will use the remaining months to train hard to defend their title as the best in Africa at the Pan African Tournament to be hosted by the University of Limpopo in December 2014 as well as improve on their World Rankings at the World Championships and Pre-World Championships. The WDU lost the championship title in 2013 to UCT. They won the title for three consecutive years in 2010, 2011 and 2012. The Wits Dean of Students, Dr Pamela Dube, has congratulated the WDU for their successes at the tournament. This article originally appeared on Wits News.